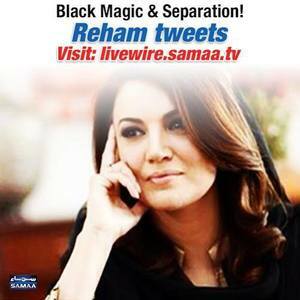 Share with us your views and comments about the much-discussed tweet by Reham Khan in which she sees black magic as a reason behind her divorce. A lunatic reaction after divorce. @RehamKhan1 Mam by the way who is Iblees in your case? @RehamKhan1 Plz shut ur mouth now you already wasted much time of us by doing all this. 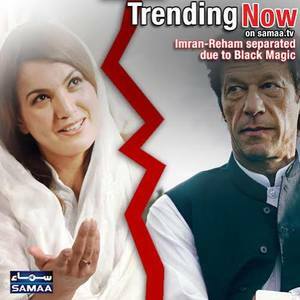 Share with us your views and comments about a much-discussed tweet by Reham Khan in which she sees black magic as a reason behind her divorce. Her viewpoint about use of black magic, that causes separation between husbands and wives according to Quran, has stirred debate on social media. So, join this discussion to share your views and read public opinion on whether or not the necromancy separated the couple. Livewire.samaa.tv provides you second-to-second update and detail of each and every developing situation/story. 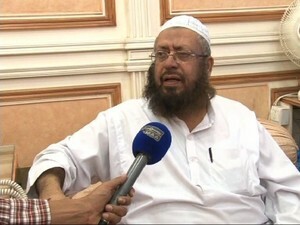 Samaa TVWatch prominent religious scholar Mufti Naeem’s views about a much-discussed tweet of Reham Khan, the ex-wife of Imran Khan, in which she mentions a verse from the Holy Quran about use of black magic that causes separation between...;"What does Mufti Naeem say about Reham’s tweet? I don't understand that black magic is a reason behind their divorce. The main reason of divorce is misunderstanding between both.